The Yemeni national army seized control of the area of Gharafi around Khaled bin al-Walid camp in Taiz on Monday, following violent clashes with Houthi militias and forces loyal to ousted president Ali Abdullah Saleh. 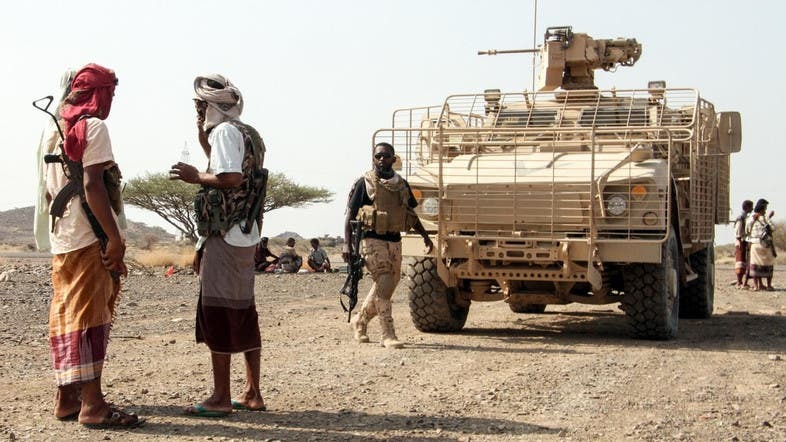 A source said Yemeni forces also seized control of al-Thubani in Mocha and liberated vast areas in the surroundings of Dar ibn Alwan in Mawza in west Taiz. The command of the Taiz axis said clashes in the hills of al-Douwayha extended to Jabal Aqqar in Mawza, adding that 12 militias were killed and that the militias’ morale has collapsed. Earlier on Monday, legitimate forces in Yemen, aided by Arab coalition forces, seized the special telecommunication towers in the Khaled bin al-Walid camp while an army battalion worked with Al-Waziiyah residents to clean the camp of landmines.